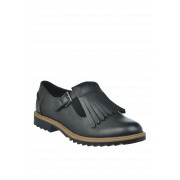 Sophisticated and smart from Clarks, the Griffin Mabel brogue shoes offer boy meets girl styling with a modern twist. 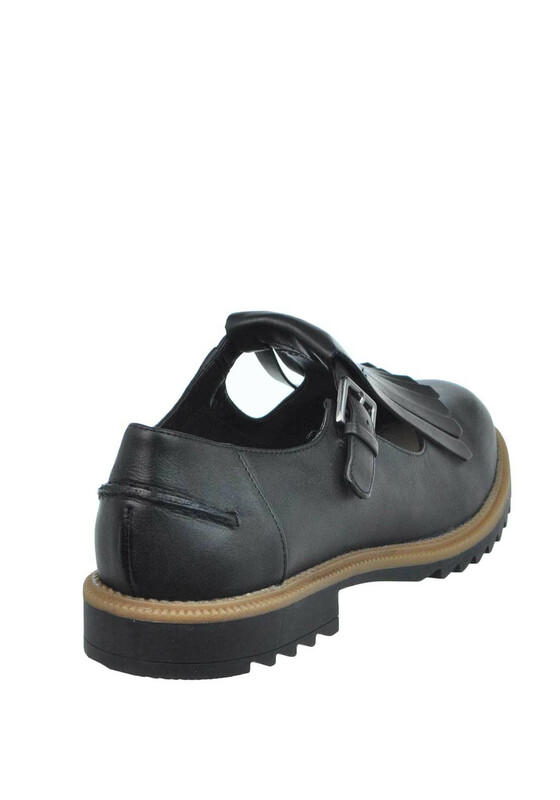 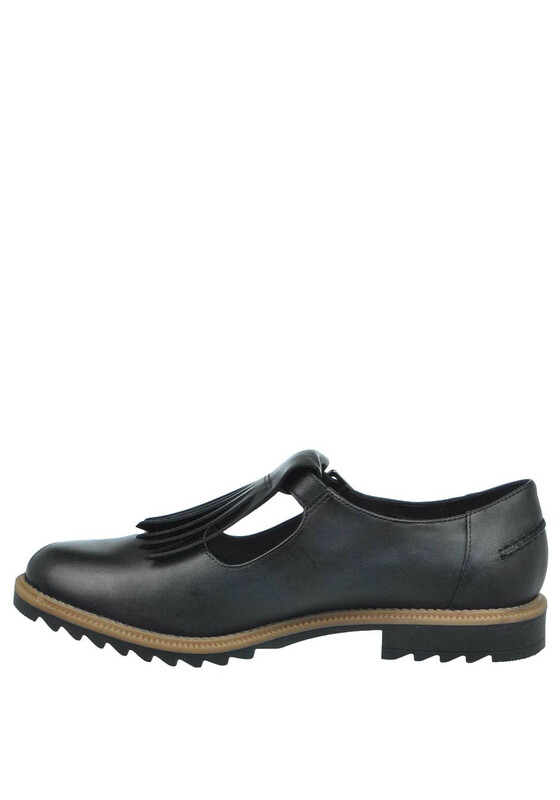 Crafted from soft black leather with funky fringing on the tongue and a cleated rubber sole and cushioned insole. 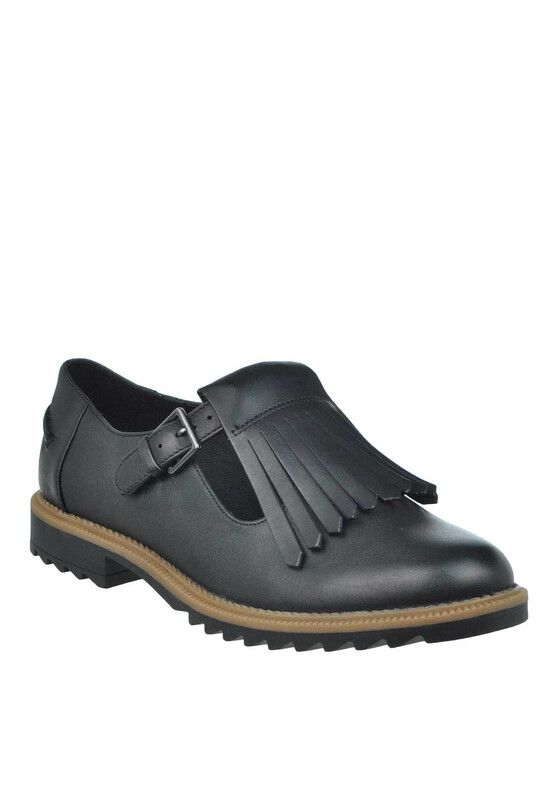 A contemporary choice for the office or everyday with jeans.